If you ever wondered where that pot of gold at the end of the rainbow is....? Looks like it's in a church in Battersea. 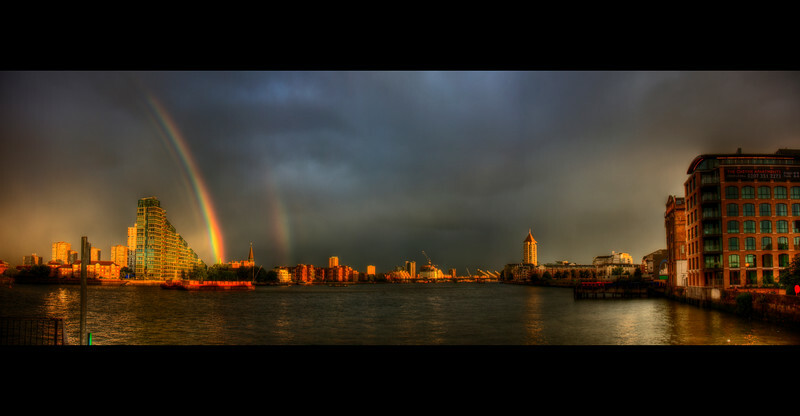 Panorama of the Thames between showers.